Wow! Can you believe this weather for the end of January? The temperatures are to reach into the 60 degree mark. So, how could I stay home this day with weather seemingly spring-like? The answer is.. I couldn’t! I had some errands to run so I incorporated the trip into a nice walk along the Armstrong Trail. 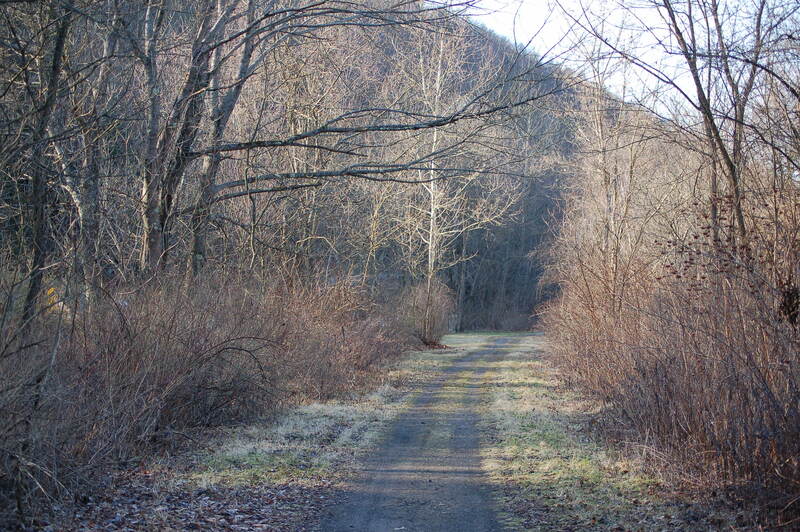 I parked just north of Kittanning, Pennsylvania and began a long hike. I turned around to return just a little south of Mosgrove. The walk ended up being approximately eight miles long. Invigorating! 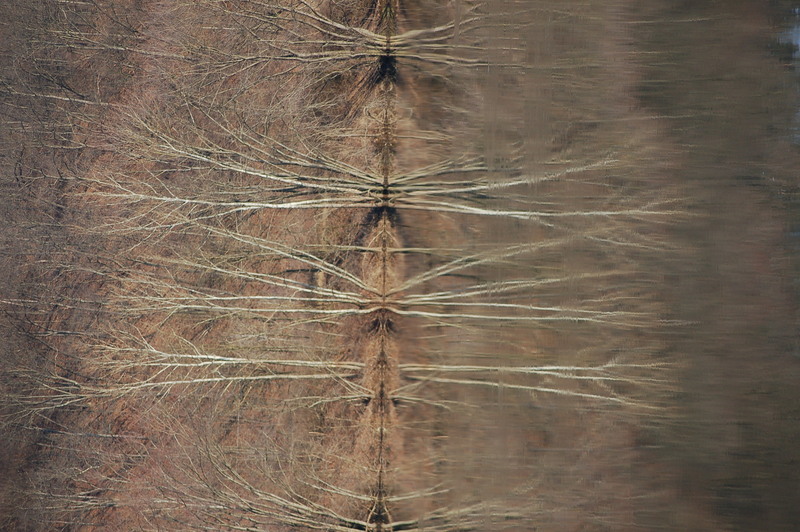 The Allegheny River was known by the French during the years prior and during the French and Indian War as the “Belle Rivera”. (mid-eighteenth century) The English translation is, Beautiful River. Indeed, the river is beautiful! 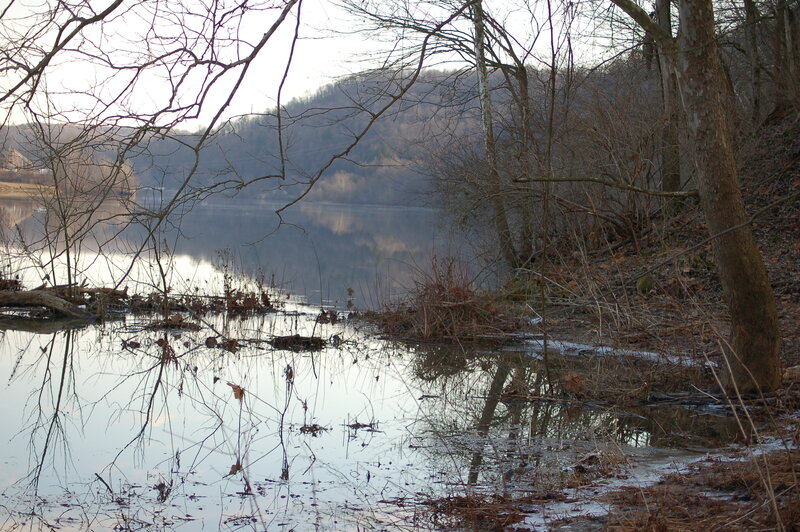 The river was known for years as the Ohio river too. 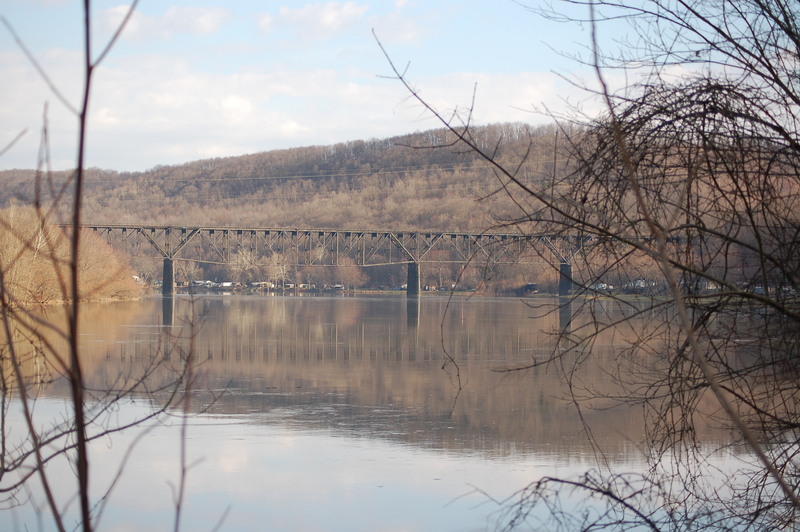 Later, individuals separated the two giving the Allegheny River the name. This morning the river appeared as a sheet of glass. Yes, the waters were moving, but the absence of wind made the river look smooth. Any reflections were still and obvious! Later, as I was walking back the winds picked up causing surface disturbances. Mammals were few. 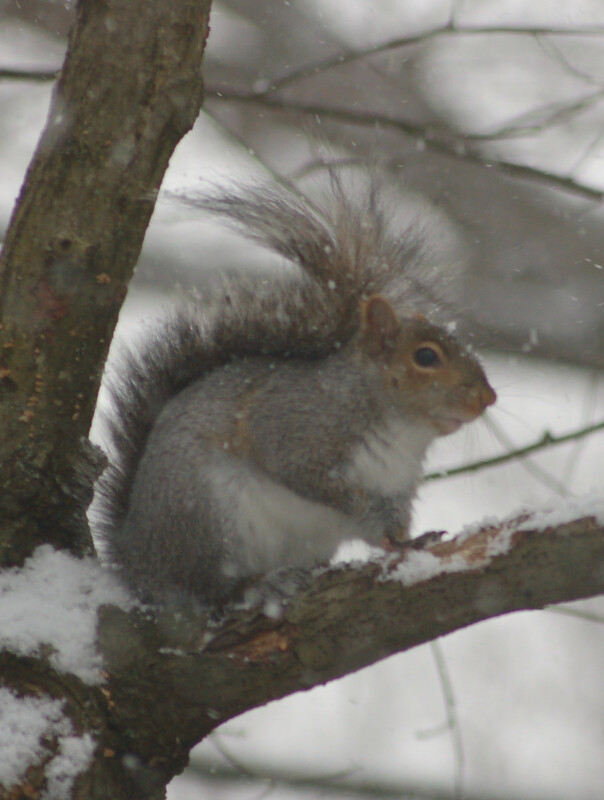 I, only, saw one gray squirrel. Bird life, however, was a little more prevalent. I saw a flock of 30 or so Canada geese. I saw and heard winter wrens and crows. Other species I witnessed were the junco; chickadee and goldfinches. 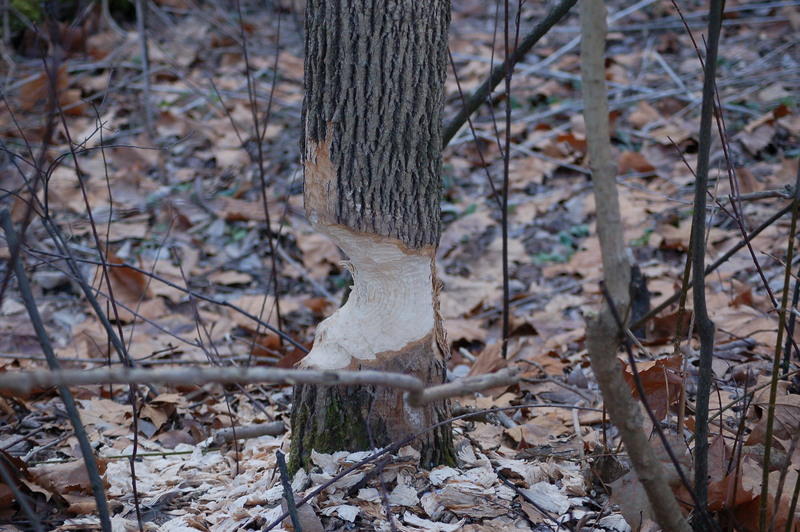 The wooded ares between the trail and the river had many signs of beaver activity. Some were old and weathered and others rather recent. These beavers are bank beavers since they usually build their lodge against the water’s bank and tunnel. Ancient human activity too can be seen along this route. 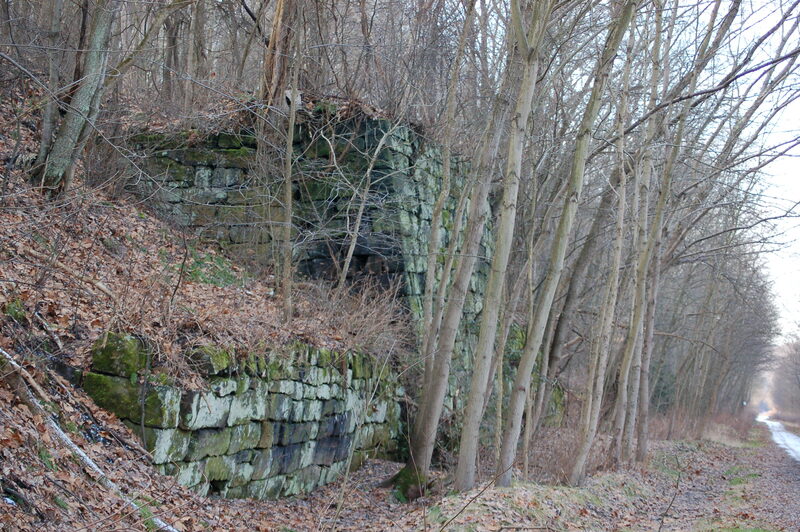 One such site displays a high rock wall. This was , probably a coke furnace site in times past since lots of slag can be viewed too. I always find the construction of the early men to amaze me. I can’t help wondering how working men maneuvered those big rocks into place. I, also wonder why their construction outlasts more modern works. This is especially true when you realize the plans for newer construction are, no doubt, figured out by college engineers! Makes one think! The walk lasted close to three hours with a steady pace. Upon my return home the task of cleaning up sawdust from the garage was needed. I have been replacing and adding mouldings and the dust was everywhere. I am seeing daffodils pushing through the soil. The maple buds are in place waiting for the proper time. Spring, regardless of the remaining winter weather, is coming soon! 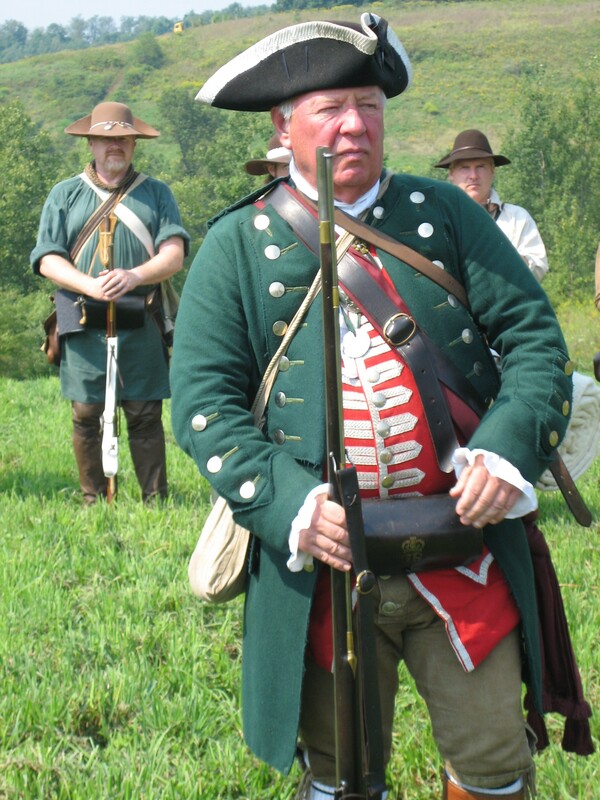 In Memory of my friend, Mike Slease (Colonel Armstrong at Blanket Hill battle site) Mike passed away last week. Some time ago I wrote a book entitled, “THE ATTACK ON KIT-HAN-NE”. The book was written as an educational book to inform individuals of our areas great history. The area of present-day Kittanning, Pennsylvania, not only features, some outstanding beauty, but played a pivotal part of early history. Prior to the settlements and fields, local natives lived out their existences by farming, hunting, fishing and trapping. By 1755, our local Kit-Han-Ne Indians lead by War Chiefs, Captain Jacobs and Shingas entered the French and Indian War allied with the French against the British and colonists. These natives were of the Lenni-Lenape (Delaware) tribe. These great men launched raids across eastern Pennsylvania killing, plundering and capturing many. 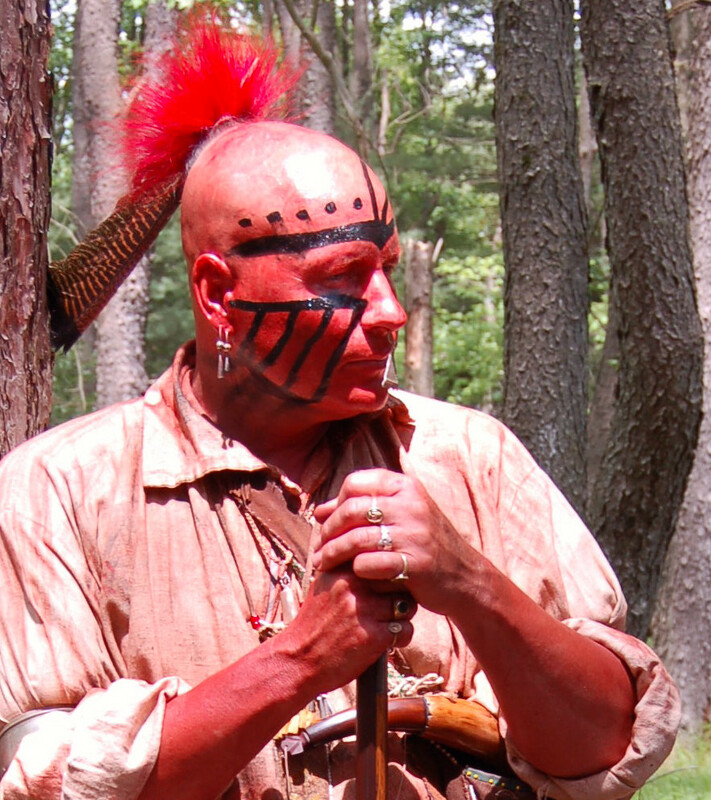 Colonists often fled with nothing but their clothes upon hearing of Indians lurking in nearby areas. They fled toeastern communities like Philadelphia. Colonel John Armstrong and over 300 men headed into western Pennsylvania to attack the village. This would be the Colony of Pennsylvania’s only attack during the war. The September 8, 1756, lead to many casualties and burning of many of the village’s log buildings. The results are debatable. The raids continued into eastern Pennsylvania and the Indians did live at the site for a time before moving farther west behind the French line of forts along the Allegheny River. Please, if you decide to obtain this book via this option, don’t forget to leave a review. You can see the book by clicking on the book link on the right on my web site here too. Bob and I headed for State Game Lands 137 at Distant, Pennsylvania this morning. The intents were several. First we hoped to enjoy a nice walk in the natural world. Secondly, we hoped to find some ringneck tracks. 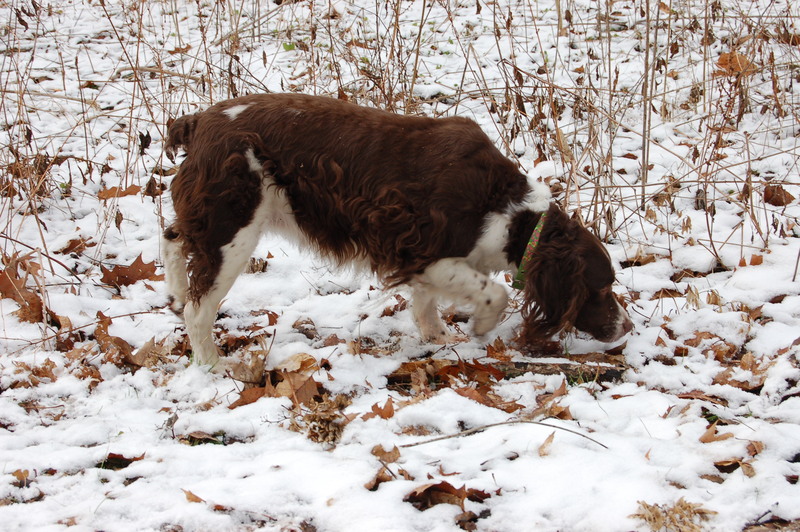 Hunting the ring-necked pheasant without trained dogs can be difficult. We were hoping to push the odds by tracking. 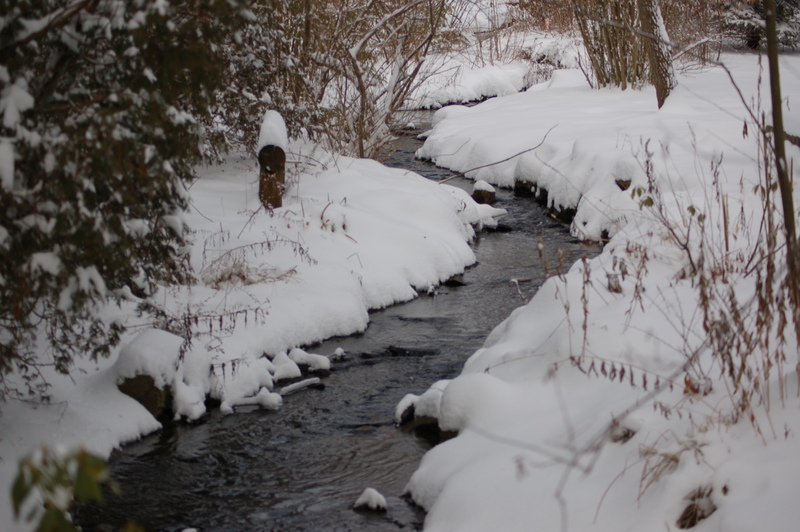 The snow we received last Friday and Saturday had melted dramatically over the weekend and Monday due to warming temperatures and rain. We endured the cold winds and damp feelings for several hours walking, at least, four miles I estimated. I spotted two deer laying. We saw plenty of deer tracks. 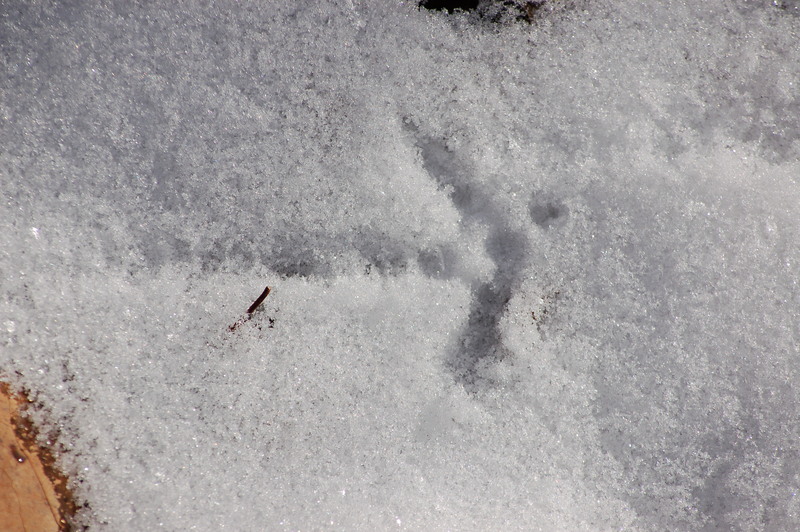 We, also, saw coyote; raccoon; porcupine; squirrel; rabbit; and chipmunk tracks, but no pheasant tracks. The exercise was needed and, although, we failed at locating any birds we still had some quality time afield. That is all I ever need! Yes, this winter has had few snow events. 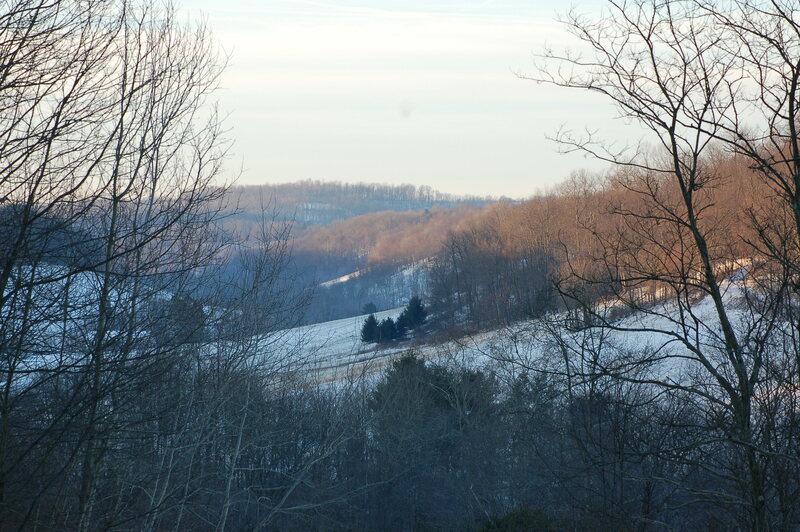 The ones of Armstrong County, Pennsylvania had produced few inches of snow cover. We have had plenty of mild temperatures too. Last evening, however, dropped about 6-7 inches of fresh snow making for some winter wonderland views. I worked with cleaning out the driveway this morning and making sure the bird feeders had a supply of “eats” for my feathered friends. Suzie had difficulties in the snow. Her GPS system was working well since the familiar scents were covered and her blindness caused her to walk in circles seeking something she knew. I had to chase her down and use a leash to aid her back towards the house. I enjoyed walking about my yard and managed a few photos. 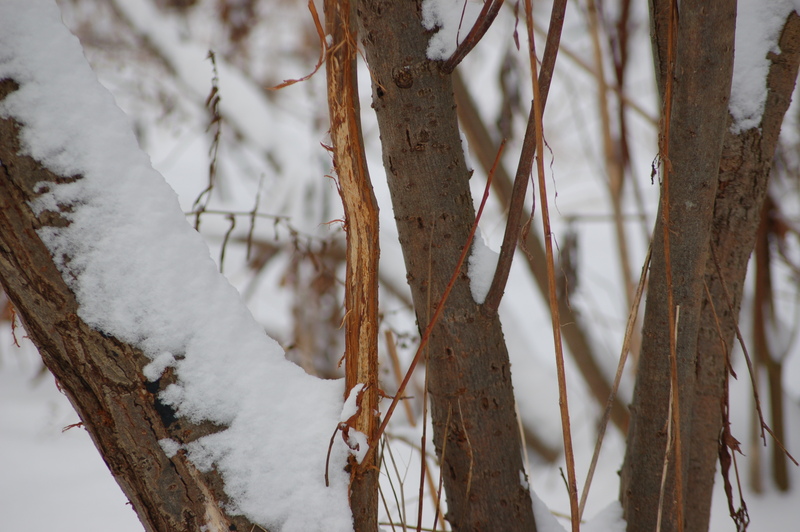 A buck had rubs several trees along my creek sometime during this rutting season. The screech owl enjoyed watching me from its box. The squirrels challenged me at the feeder at times. Sometimes, I consider squirrel pot-pie as a solution. The crows raid my deer ribs daily now. They enjoy the easy access to the rib cages I place within the trees. Many species of birds make use of them too. Nothing goes to waste in nature. This is evident as I noticed feathers over the snow. Apparently, a Cooper’s Hawk made a connection this morning. However, the hand full of natives turned out to be many more than the four and the 13 soldiers were either killed, wounded or deserted. The actual site of the battle was about one and a half miles from where the community of Blanket Hill is presently. The hill where the battle originated is a small strip of woodlands corrupted with multiflora rose brambles. The top is field and the bottom is a reclaimed strip job. Used to be where we hunted! The plan was simple. the three of us, Cousin Donnie; step-father Bob and myself, after a morning stand hunt, would meet and hunt that strip around 9:00. The early hours were very chilly somewhere in the low teens or, possibly colder. I saw 9 deer prior to 9:00. 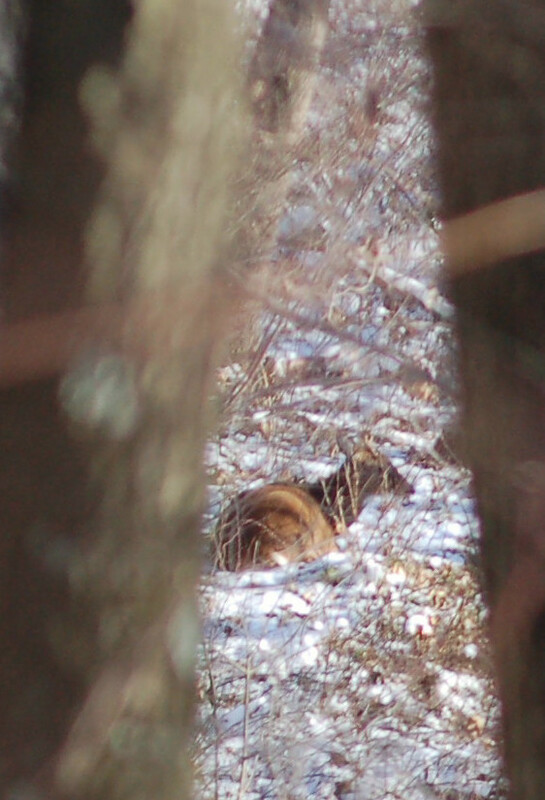 (Six were bedded and spotted while driving to the hunt site.) Donnie saw two turkeys. We organized and I placed Bob along the top of the ridge and Donnie walked the bottom and set up. I circled around seeing 4 deer. 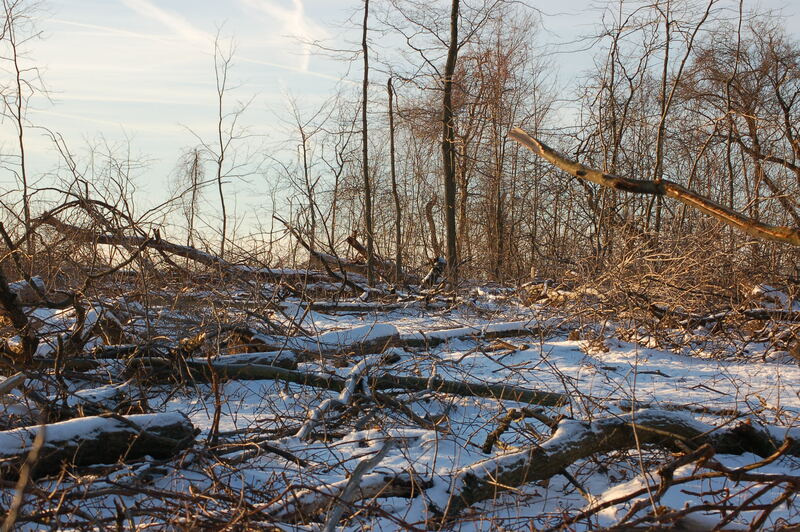 I continued circling the woods edge and began a slow drive towards the two. 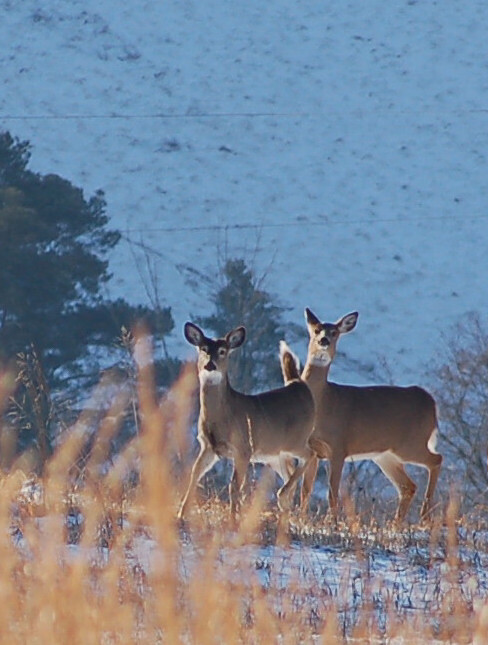 I didn’t go very far and could see a couple of laying deer and a few more feeding. I allowed my presence known and the deer moved slowly and stopped before moving on. I waited for a shot. 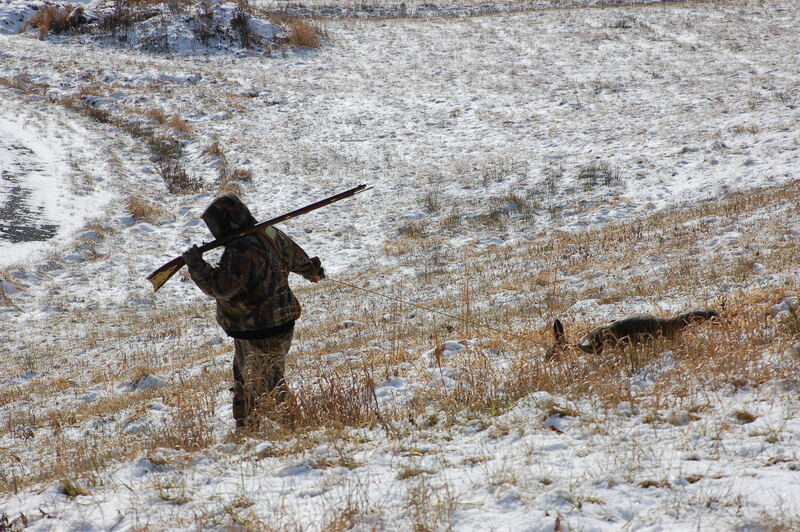 I helped Donnie drag the deer before Bob and I went to another site. I spotted a deer laying but Bob couldn’t see it until it jumped up to run. 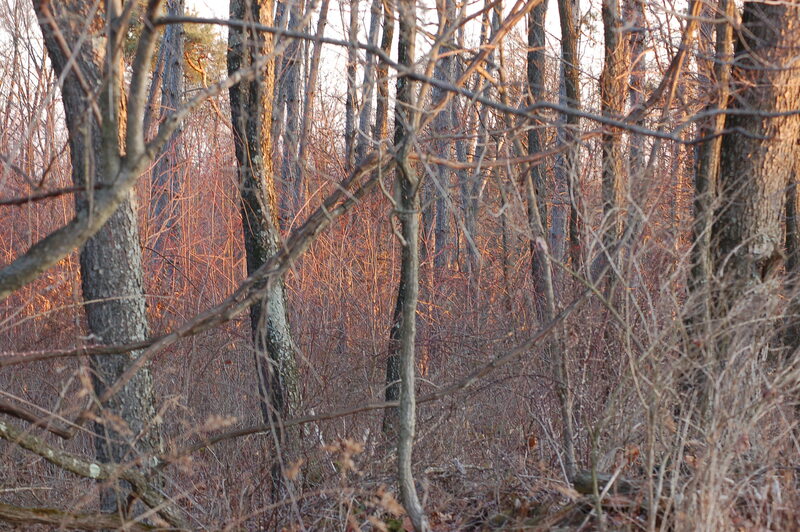 Later I spotted another deer feeding and we maneuvered and the deer walked rather close but didn’t afford a shot. I tried to push the deer back and spotted another deer in its bed. Nothing past Bob!! I was almost to Bob and could see a feeding deer far out. We positioned and the deer eventually walked to about 50 yards. 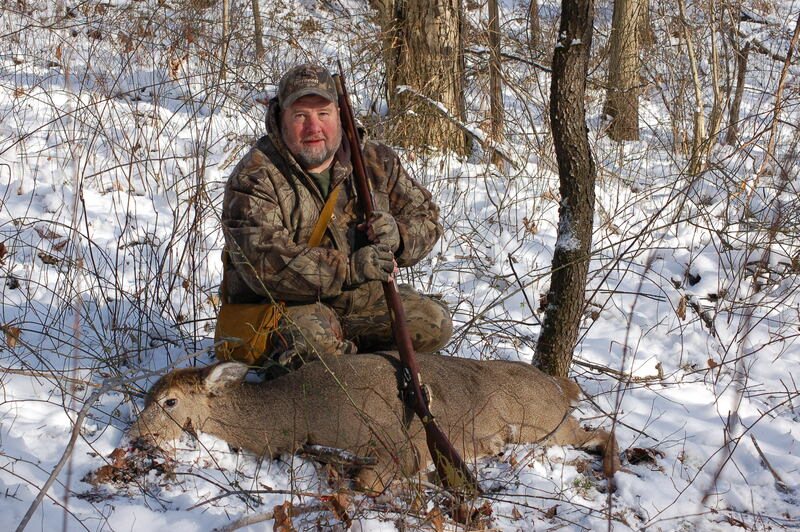 The wind wasn’t the best, but when I felt the draft change I told Bob the deer would wind us. She did and the escape was certain! I saw two more deer before we quit as the rain started. I saw a groundhog out today in January! The temperatures eased rapidly into the forty degree mark. The snow melted just as fast. I, also, saw a couple of hawks. 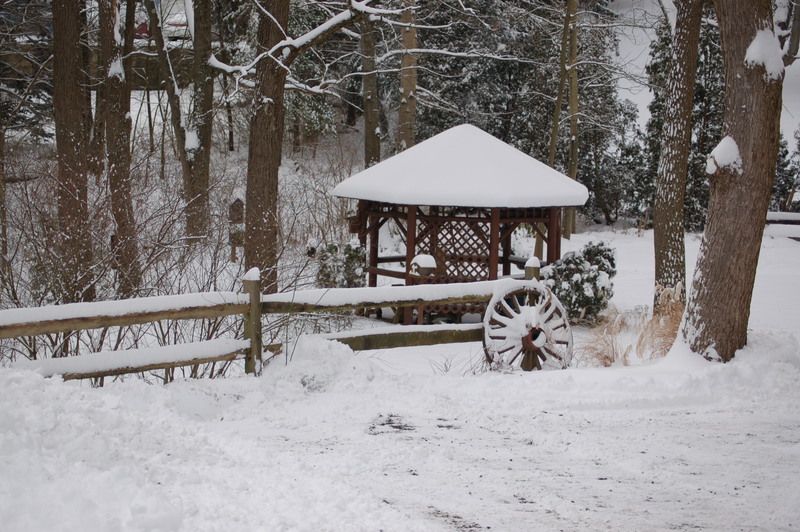 Here it is mid-January in Pennsylvania and this weekend was the first time I needed to broom off the driveway! The snow cover was only a few inches deep. The mid-afternoon hours came and I couldn’t fight the urge to go walking in the snow armed with camera and walking stick. 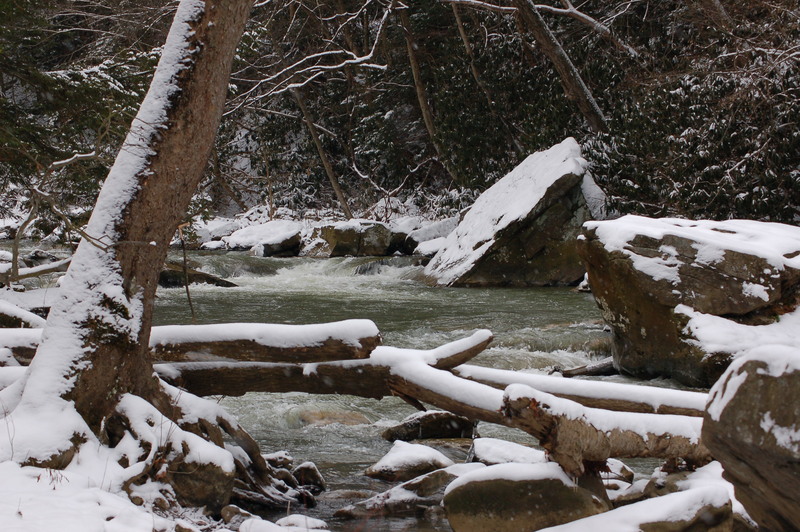 The trek I decide don was along Cowanshannock Creek here in Armstrong County. 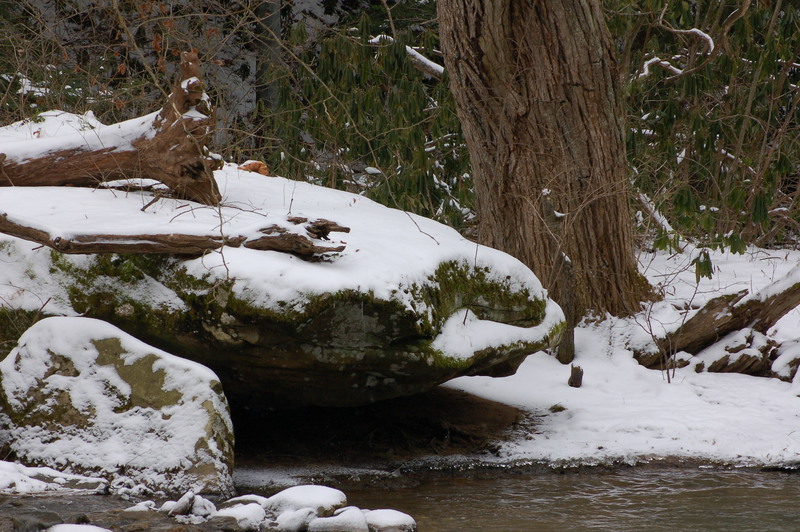 This section of the creek is covered with rocks varying in sizes up to as big as trucks. The water was colored and fast, but still beautiful to view. 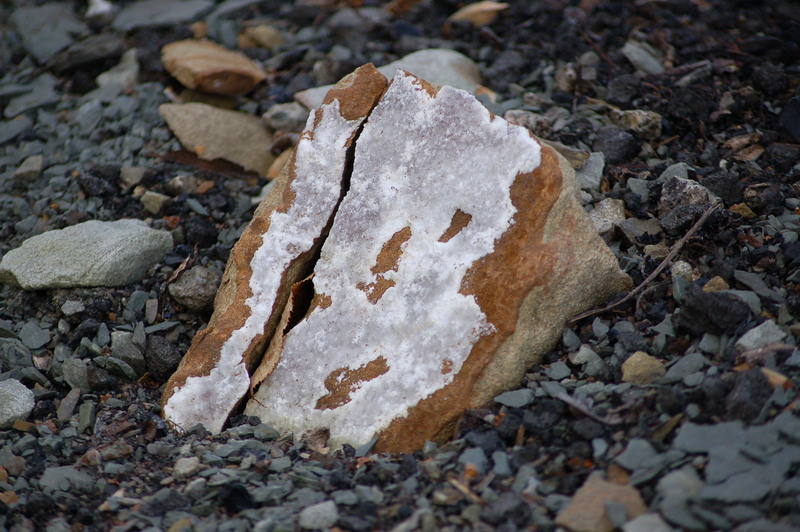 The rocks were snow-covered. 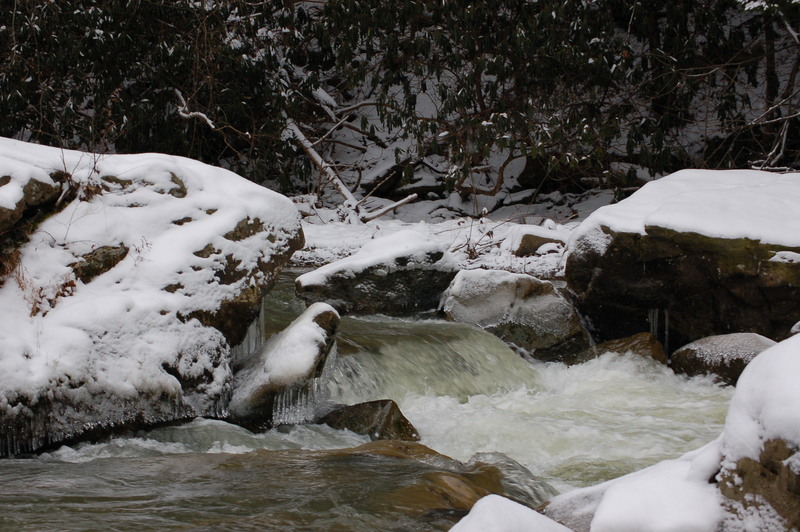 The banks often yielded to contrasting colors of hemlock and rhododendrons. A one point, I glanced up-stream and could see some vividly colored clothing covering two bodies. 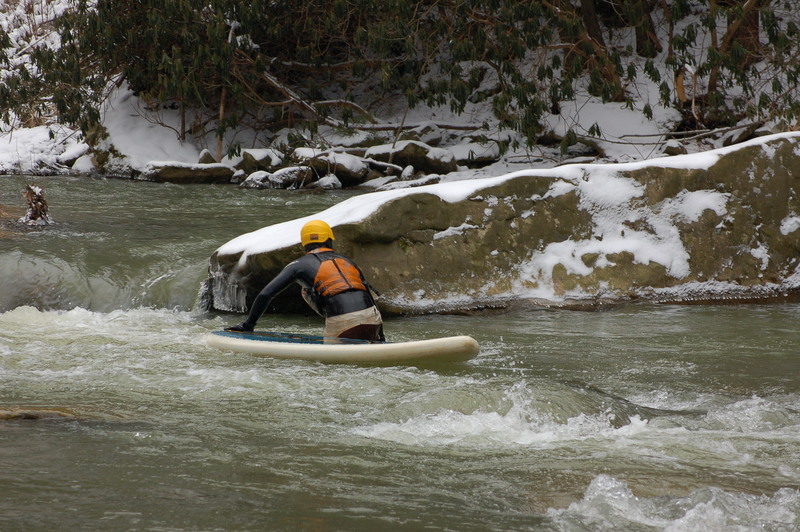 I wondered just what I was seeing when I realized these two guys were “surfing” down the stream. I watched as they both often fell into the water as they pursued their sport. The walk continued, but, there were several sites where I was forced to go upslope and walk the trail some. 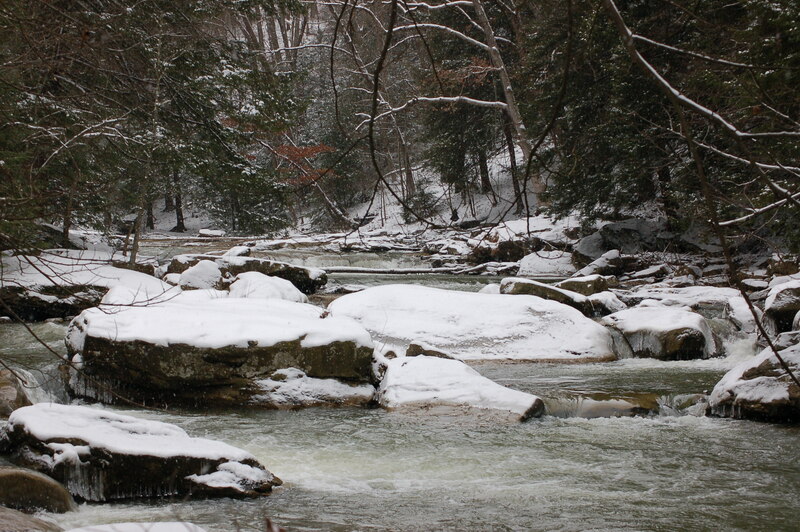 Eventually, I came to the rail’s end at a [place known locally as Buttermilk Falls. 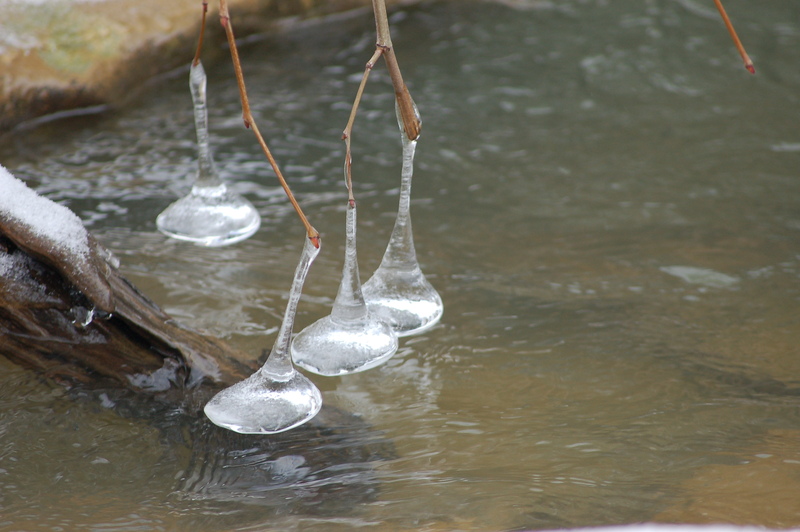 I spent some time at the site captivated to the beauty of nature. Time’s like these one would have difficulty in believing in a creator! 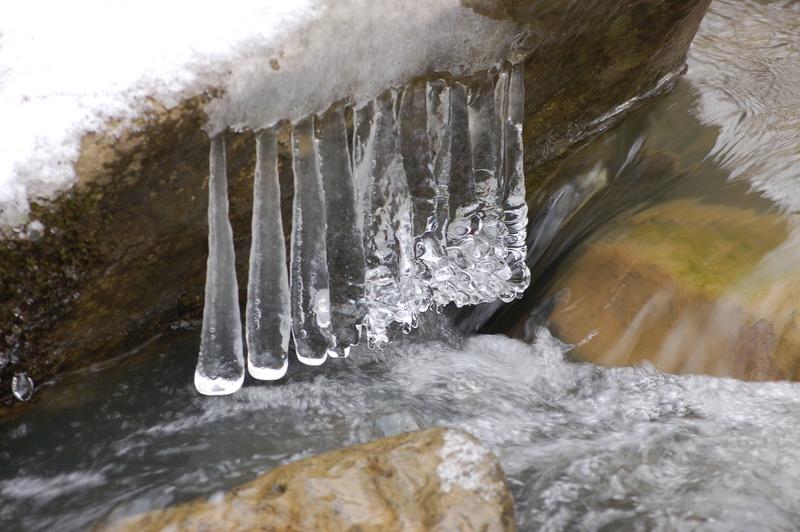 I noticed still water coming from a spring seep. 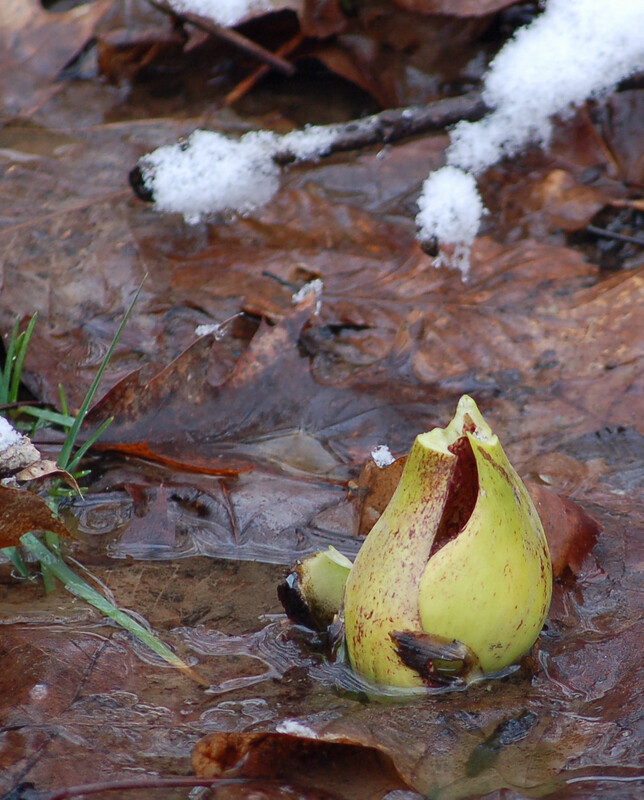 In the midst was a single skunk cabbage stalk shooting forth awaiting the early spring warmth. The snow floated down softly and quietly from the heavens above. I tried to focus on a single flake. I thought how a very small flake in its origins joined with other flakes to make this one of about half an inch in size. How many small flakes joined to make this one? I wondered to myself. The sad aspect of that flake is once it touches the existing blanket of snow it immediately disappears. I could not pick it out. So many snow crystals to make this white blanket of white soft snow. This amazes me! The walk came to an end way to soon, but I felt all the better for engaging in the time. As for critters, few were out and about. 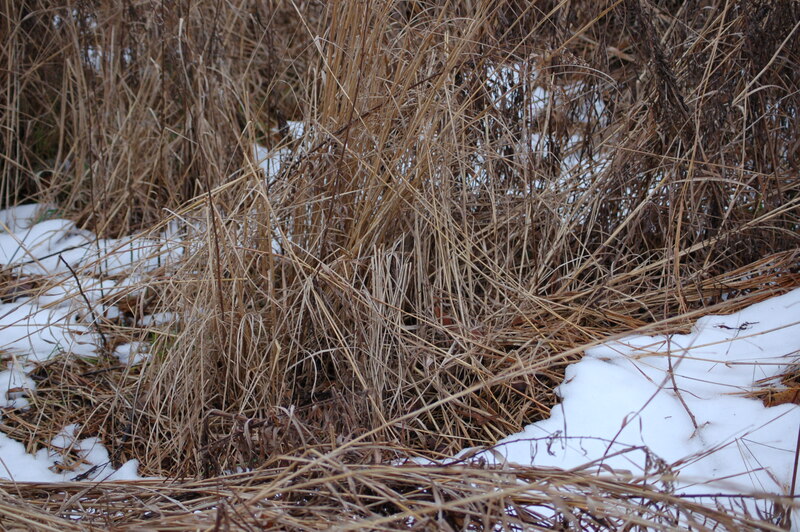 I saw a couple of winter wrens and three cardinals. Monday, cousin Donny and my step-father are planning on some outdoor time together. Should be fun! The sun glowed an orange hue early in the morning hours. The orange-red colors engulfed the landscape until the rising sun turned into the brightness of the dawn. I felt fortunate to have been in the woods to witness the event. The colors do not last long. The amazing part of the day was the weather. It seemed like mid-March! The sun was bright. The sky was blue. The temperatures were cool early, but quickly turned spring-like. I kept thinking I should be hearing gobblers gobbling and see turkeys strutting! I was armed with my .410 H&R shotgun from my youth. I thought to bag a few squirrels to make a feast for the family. (I had one squirrel in the freezer already.) 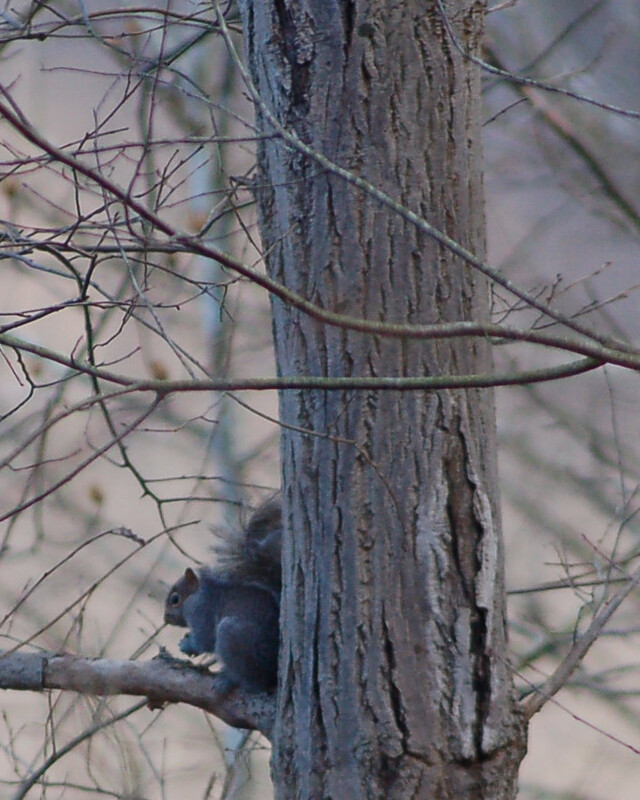 While walking towards Bob I heard some wood noise and looked to see a squirrel which I quickly bagged. Up to this point, squirrels were not on my mind. The sight and sounds placed me into “Squirrel-mode”. 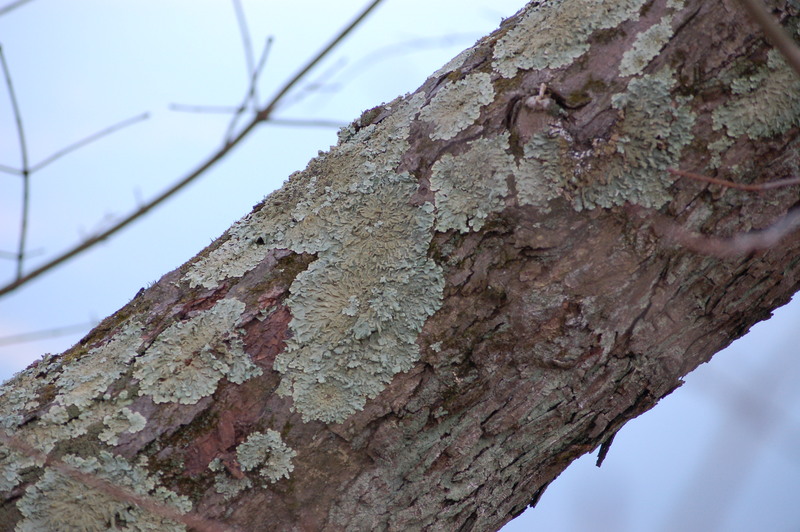 I soon saw a couple more, but avoided shooting due to plenty of witch hazel and grape vines blocking perfect shots. I waited for better shots. Soon I saw another squirrel which I bagged. I took a few photos as memories. My tradition has been for years to clean the squirrels in the woods. 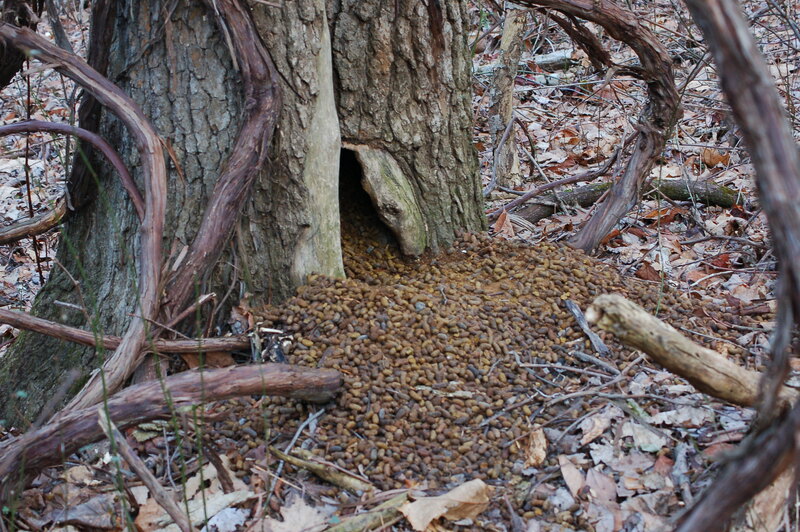 I then place the entrails and hides in the trees for the critters to utilize. I had just completed cleaning the two squirrels when another appeared. I loaded the shotgun and took the shot. 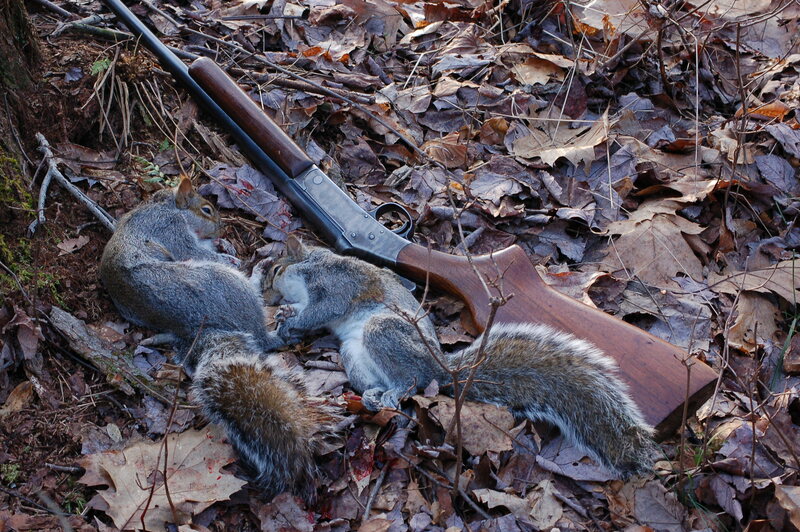 Three squirrels… a meal was to be reality! I, also, saw a great-horned owl flying among some pines. 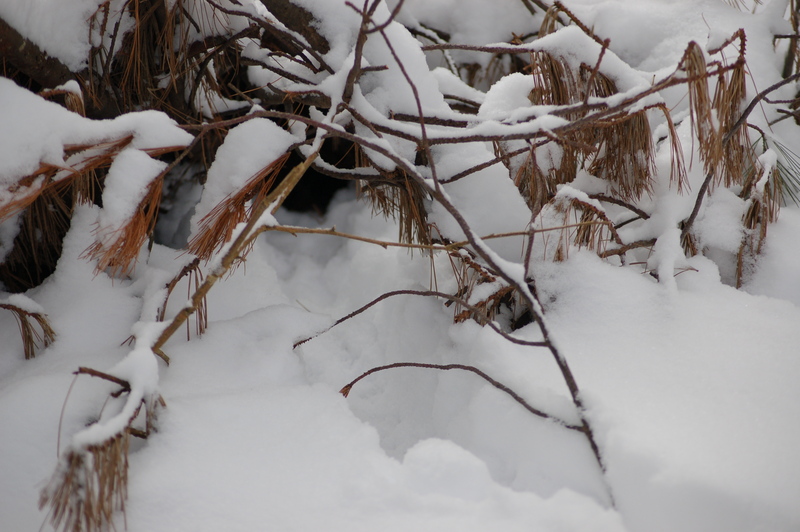 One subject of interest was the discovery of a porcupine den tree. Porkys were very scarce in my haunts until rather recently. Many people hate the critters, bit I find them a beautiful mammal with some very interesting traits and body parts…the QUILLS! My friend C. W. Nebinger had an expensive vet bill when three of his English Setters became at war with one of these creatures! OUCH!